A five year old oldie but a goodie sketch. 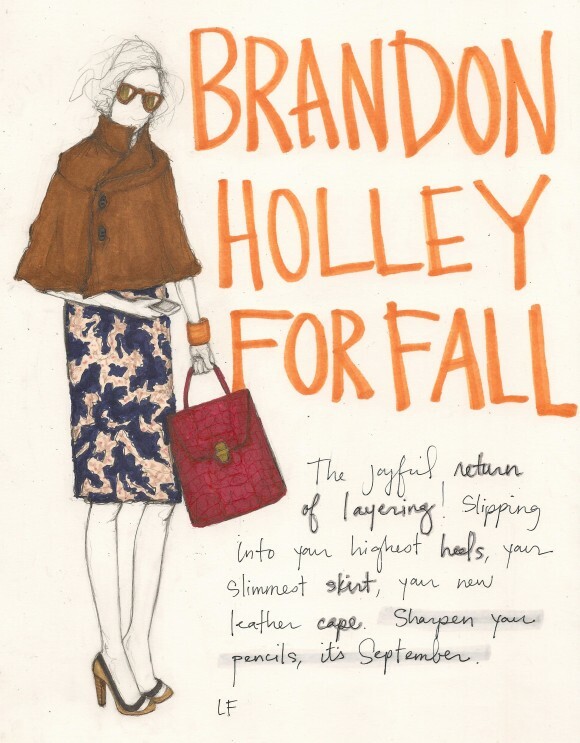 Before the now-defunct Lucky Magazine asked me to illustrate their monthly "Ask Lucky" column, the first thing they asked me to do was draw what I thought Brandon Holley, the editor of the magazine at the time, would be wearing for fall. Needless to say, this sketch didn't make the final cut (I'M NOT COMPLAINING). Let's enjoy it now!